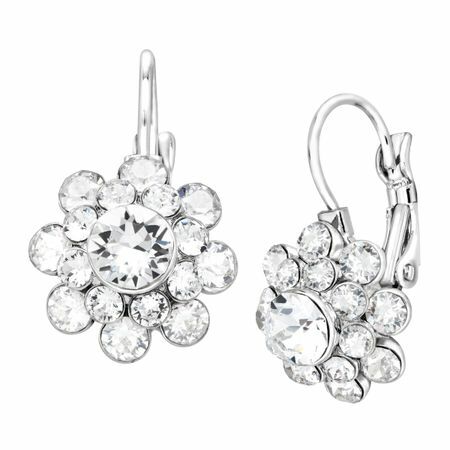 Blossom with the sparkling brilliance of these Crystaluxe floral drop earrings. Round-cut Swarovski crystals are set in sterling silver-plated brass. Pieces measure 13/16 by 1/2 inches and feature lever back back-findings.